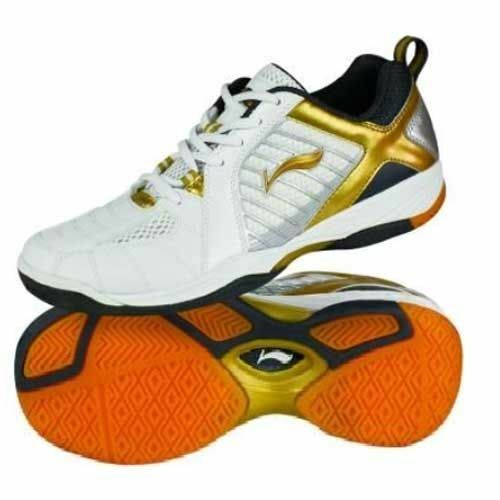 The Li-Ning CG80 Mens Court Shoe - Walk in the footsteps of some of China and the World's best badminton players in this elite Gold range of performance footwear. Breathe easy and stay focused with a shoe designed for the elite badminton player demanding impeccable performance. CushioN - high impact cushioned sole provides comfort and protection form impact injuries to the heel and ball of the foot on landing. TPU and Mesh - breathable mesh and long-lasting polyurethane material allow the foot to breathe to help keep it cool and dry during the game. Phylon Insole Cushion - a high impact insert has been placed in the insole for increased comfort and help reduce the risk of injury. for submitting product review about Li-Ning CG80 Mens Court Shoe.